Designed for style and space, Edwardian conservatories have classic lines that offer a high quality dimension to your home. A square, flat fronted projection blends easily into the character of your home, which makes it an ideal choice for those who want to enjoy a beautiful conservatory for years to come. 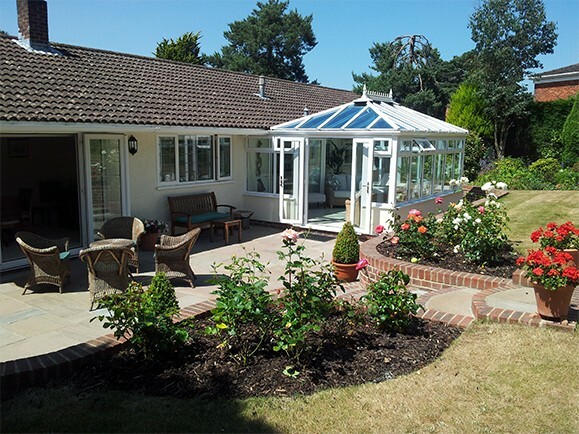 The classic, clean line of an edwardian conservatory are also favoured by those who are looking to maximise space and enjoy their garden even during the colder months. With an Edwardian conservatory, both the pitch of the roof and the direction of the ridge can be changed to suit your home. 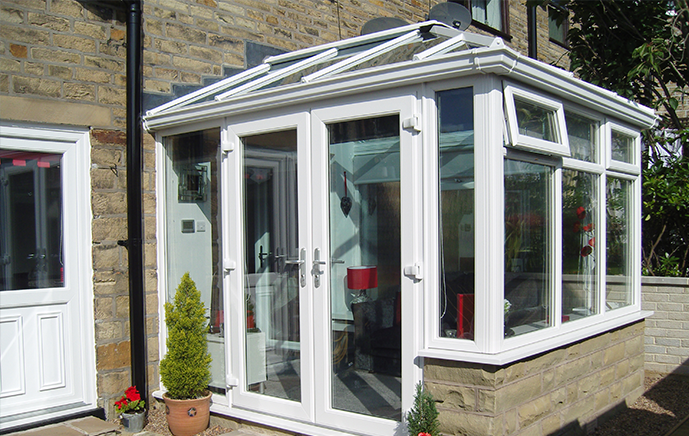 Edwardian conservatories are completely adaptable to suit all house styles and bungalows. 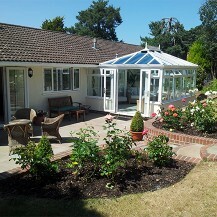 The Edwardian conservatory adds a touch of class to every property. The square, flat fronted projection also helps increase the amount of floor space within your conservatory. Homeowners who choose to install an edwardian conservatory use it for all sorts of things, from a playroom to a dining room. When choosing an Edwardian conservatory, you also gain access to a choice of features to add to its already attractive design. 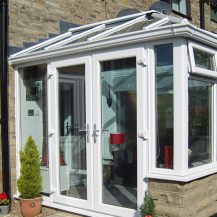 Available in a choice of materials including uPVC, Aluminium and wood giving you the ultimate scope to create the conservatory of your choice.